Kheyti was started in 2015 with the mission of giving small farmers a steady and dependable income through market driven technology solutions. After seeing firsthand the huge production risk that small farmers are exposed to, we conceptualised the “Greenhouse-in-a-Box”, an affordable modular greenhouse bundled with services. Our greenhouse fits on 2% of a small farmer’s land, protects crops from environmental risks and grows 7 times more food using 90% less water when compared to traditional open cultivation. Technology alone isn’t enough. Small farmers face risks at every step. This is why we work with partners to give farmers access to financing, linkage to input companies, ongoing production advice and linkage to markets, creating a seamless path towards assured incomes of Rs. 4000-6000/month and out of poverty. We serve 100 farmers today, signed up a 1000 more and plan to serve 1 Million farmers.We have won numerous awards and recognitions across the world for our idea and initial impact with farmers. We are still at the beginning of this rapid growth plan, so the team is still small and times exciting! Visit our Home page or read the press coverage below for more information. Sathya spent 6 years founding and building Cosmos Green, a social enterprise giving training and market linkages to smallholder farmers in the states of Telangana and Karnataka. He serves on the board of Telangana Rythu Producer Company, an apex organization for farmer collectives, and is an Acumen India Fellow 2014, an Aspen New Voices Fellow 2016 and a Mulago Rainer Arnhold Fellow 2018. He is a Chartered Accountant who has worked for 3 years with PriceWaterhouseCoopers and a passionate educator who has coached more than 18,000 students over the past five years for their chartered accountant exams. Kaushik served for five years as a part of the leadership team of B-ABLE, a NSDC accredited social enterprise (part of the BASIX group) that has helped more than 70,000 school dropouts get linked to mainstream jobs through high quality training and placement services. He is a graduate of IIT Kharagpur, an Acumen India Fellow 2014 and has an MBA from Columbia Business School where he won the Nathan Gantcher Prize for Social Enterprise and the Tamer Center Grant for Social Ventures. Saumya previously co-founded YellowLeaf Solutions, a social enterprise assisting blue collar workers from India to access high paying jobs abroad free from exploitation of middlemen. She also led operations of B-ABLE, a skill development company, in Bihar and Jharkhand. She is an Ashoka Emerging Innovator 2016. Saumya is a graduate of St. Stephen’s College and has an MBA at Kellogg School of Management where she was a recipient of the Kellogg Social Entrepreneur Award, Resnick Family Social Impact Grant, Zell Fellowship and the CRTI Fellowship. She was selected as one of Forbes 30 under 30 Social Entrepreneurs in 2019. Ayush co-founded Cosmos Green with Sathya and manages agricultural operations across 100 hectares of farm land. He has also trained more than 2,000 farmers over the past six years and works with 400 farmers on market linkages. He has been an Equity Research Analyst at CRISIL for four years and earned an MBA from Institute for Financial Management and Research in Chennai, India. We serve 100 farmers today and hope to serve a million by 2025. We know that this is not a dream that can be achieved alone. To achieve our vision, we need friends, mentors and co-conspirators who support us. We want to expand our team and are looking for looking for “unreasonable” people to join us. If you’re reading this far and still interested, we are sure you have many more questions. Click on each of the positions below to see the detailed job descriptions of the roles we are hiring for. Compensation: Ranges from 3.0-6.0 lpa depending on experience of candidate. Position offers “faster than the norm” growth opportunities in responsibility and compensation depending on candidate’s performance and organizational growth. 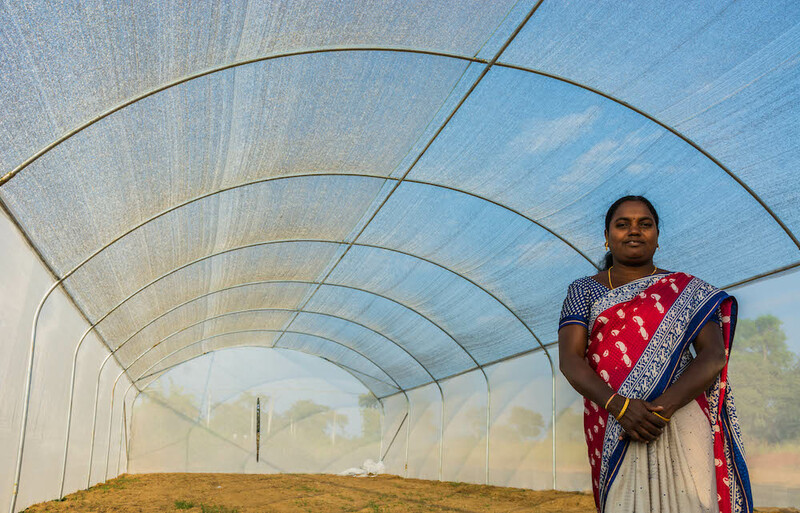 Company Context: Kheyti helps smallholder farmers in India gain a steady, dependable income through its “Greenhouse-in-a-Box”, a simple, low-cost, modular greenhouse kit bundled with financing, inputs, training, advisory (extension) and market linkage services. 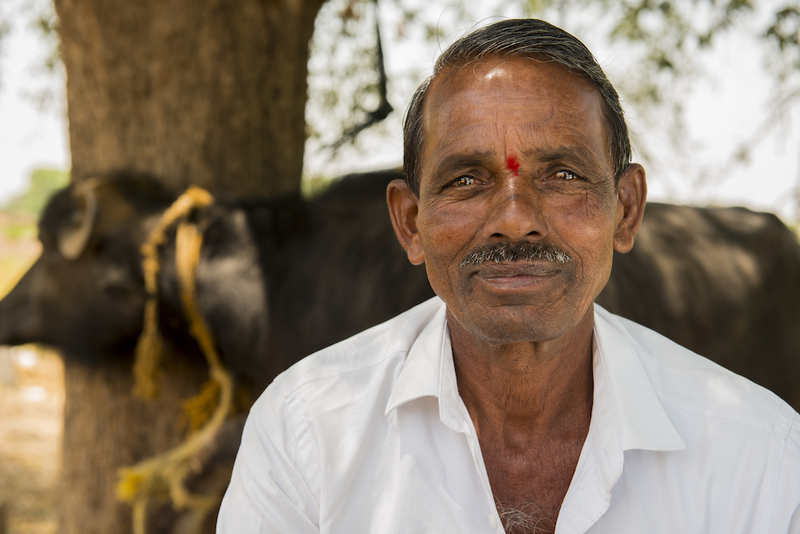 We serve 100 farmers today, scaling up a 500 and plan to serve at least 10,000 farmers by 2020. We have won numerous awards and recognitions across the world for our idea and initial impact with farmers. We are still at the beginning of this rapid growth plan, so the team is still small and times exciting! Visit our Home page or Join Us page for more. Job Description: Management Trainees build the organization along with Kheyti’s founding team. This is the perfect role for anyone looking to learn from the ground up and pursue a challenging but fulfilling career in social impact. They can be assigned responsibilities in multiple areas including expanding Kheyti’s reach, managing field teams, ensuring smooth delivery of greenhouses and services to farmers, process building and testing out new products and services. They will have the opportunity to rise quickly as Kheyti grows, either as operational managers leading regions or as specialists. Management Trainees will also be offered personalized mentorship and training from Kheyti’s founding team for career development. Management Trainees are expected to take up various responsibilities across departments and functions of Kheyti. They are responsible to learn existing processes from senior management, support in building systems and processes and execute specific tasks and plans on the ground. Learn various staff functions, including operations, management viewpoints and company policies and practices affecting each phase of business. Work with the senior management to periodically set and update short, medium and long term goals for projects. Create project plans, KPIs, targets and monitoring mechanisms to ensure structured and smooth execution. Language: English speaking/writing skills required. Telugu preferred but not mandatory. Location(s): Turkapally, Telangana (1 hour from Hyderabad City Centre); Position might be moved to Hyderabad City in 6-9 months’ time. Compensation: Ranges from 10-14 LPA depending on experience of candidate. Job Description: TheBusiness Strategy Manager will support the CEO and founding team in their various responsibilities of building the organization. This includes fundraising (developing new donor relationships and maintaining old ones), board relations, strategy formulation and implementation, business planning, finance and reporting. The EA will get to participate in key strategic decision making and get to interact with important stakeholders including Kheyti’s partners, advisors, donors and board. This is a great opportunity for anyone wanting a crash course on what it takes to be a start-up CEO. Strong written and verbal communication skills. You will be dealing with a lot of people. Great documentation & presentation skills. Advanced proficiency in MS Suite. Kheyti’s stakeholders expect impeccable documentation at every step. Compensation: Ranges from 5-7 LPA depending on experience of candidate. Job Description: The Manager, Finance & Accounts will lead budgeting, accounting, audit and compliance functions at Kheyti. They will work with the operational teams to ensure proper accounting systems are set in place and manage day to day accounting and bookkeeping operations like payroll, invoicing, accounts payable and other transactions. They will work with the CEO to set budgets in place and provide reporting to management on actual performance. They will work with external stakeholders like statutory auditor, bankers, consultants to ensure all statutory compliance matters are taken care of. They will spearhead internal audit projects as and when required to improve financial efficiency of the organization and ensure that the right systems and controls are in place. This is a great position for a finance professional who wants to accelerate their career by having the independence and autonomy of working at a fast-growing start-up. The Manager, Finance & Accounts will be offered various growth opportunities during Kheyti’s growth with the possibility of moving up to be Kheyti’s CFO in the future. Verify, allocate, and post entries for Kheyti’s Indian entity and US entity including reconciliations. Strong knowledge of various compliance requirements like tax regulations, TDS, GST etc. Strong written and verbal communication skills. You will be reporting to a lot of people. Compensation: Ranges from 2.5-4.5 LPA depending on experience of candidate. Job Description: Field Agronomists deliver extension services to clusters of Kheyti’s farmers. 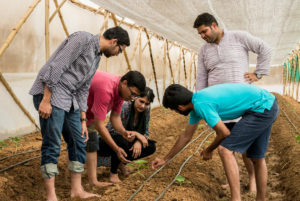 They are the feet on the ground that help 50-200 farmers in all aspects of greenhouse production, including crop planning, irrigation management, nutrient management, pest and disease control. In short, they ensure that Kheyti’s farmers succeed by getting the promised yields in their greenhouses. These agronomists are offered training and development opportunities from Kheyti’s senior agronomy team which includes researchers and agronomists from across the world. Over time, field agronomists can grow to manage extension services across a state or region helping thousands of small farmers become smart farmers. Work with senior agronomists and agronomists to develop and continuously improve working knowledge of production, especially pest & disease management. Observe farmer fields, attend farmer meetings, conduct desk research and attend training programs to continuously improve understanding of agronomy. Highlight areas of concerns from the field for immediate attention. Continuously suggest customization or improvements in production practices, farmer extension or any other processes. Bachelor’s Degree or Diploma in agriculture field like soil science, agronomy, or horticulture HIGHLY preferred. Special course in greenhouses will be considered favorably. 1-3 years of practical experience in protected cultivation; Experience in providing extension to small farmers will be considered favorably. Good conceptual knowledge complemented with practical knowledge. Basic computer usage skills required. Proficiency in MS Office preferred. 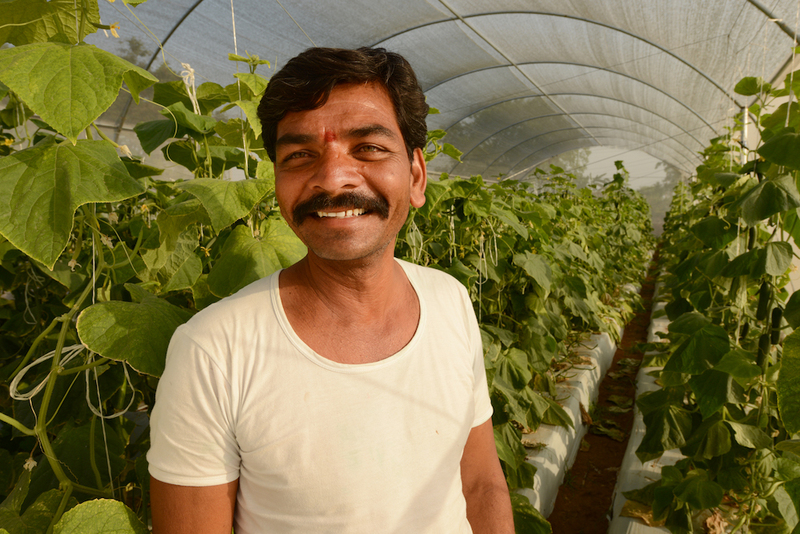 Company Context: Kheyti helps smallholder farmers in India gain a steady, dependable income through its “Greenhouse-in-a-Box”, a simple, low-cost, modular greenhouse kit bundled with financing, inputs, training, advisory (extension) and market linkage services. We serve 50 farmers today, signed up a 1000 more and plan to serve at least 20,000 farmers by 2020. We have won numerous awards and recognitions across the world for our idea and initial impact with farmers. We are still at the beginning of this rapid growth plan, so the team is still small and times exciting! Visit our Home page or Join Us page for more information. Job Description: The Senior Consultant – Greenhouse Agronomy is envisioned to be a protected cultivation expert with at least 10+ years of global standard experience in polyhouse and nethouse vegetable production and a demonstrated passion for agricultural development. This expert will become the backbone for Kheyti’s knowledge base and train and guide our team of agronomists to incorporate global best greenhouse growing protocols and practices, build standard operating procedures and deliver extension and advisory services to our farmers. In addition, the consultant will help run demonstration farms where Kheyti will showcase optimum practices and yields to thousands of prospective farmers. The position will start as a 6-month full-time consulting engagement and can be extended to a long term full-time or part time engagement based on company’s growth and mutual fit. Greenhouse growing experts with 10+ years of global standard experience in polyhouse or nethouse cultivation. Preference given to candidates with experience in multiple countries including areas with climate and local condition similar to that of India. Good conceptual knowledge in the protected cultivation complemented with impeccable practical knowledge. Candidates should be confident in delivering target yields based on past experience. Specific experience in vegetables like Cucumber, Peppers (Capsicum), Tomatoes and Chillies will be more relevant to Kheyti farmer’s needs. Bachelor’s Degree in agriculture field like soil science, agronomy, or horticulture HIGHLY preferred. Masters will be considered a bonus. Should be have a penchant towards new technology/innovation to innovate on new production techniques. Strong documentation and computer skills – data analysis and reporting skills. Language: English speaking/writing skills required. Salary Negotiable. Depending on relevance of experience, Cost to the company (CTC) ranges from USD 3,000 – USD5,000 [~INR 2 lakhs to 3.25 lakhs] per month. Job Description: The Consultant – Entomology is envisioned to be a pest and disease management expert with at least 10+ years of experience in vegetable production, preferably in greenhouses and a demonstrated passion for agricultural development. This expert will help Kheyti build robust protocols for pest and disease management and train and guide our team of agronomists to respond to farmer issues in the right way, at the right time and within the right cost targets. They will assist in delivering extension to Kheyti’s current farmers and help build the system for delivering pest and disease management advisory to future farmers. The position will start as a 3-month full-time consulting engagement and can be extended to a long term full-time or part time engagement based on company’s growth and mutual fit. Pest and Disease Management experts with 10+ years of experience in vegetable cultivation. Preference given to candidates with experience in greenhouse vegetable cultivation. Good conceptual knowledge in the field complemented with impeccable practical knowledge. Candidates should be confident of solving any crop problem in a quick time frame without escalating costs. Bachelor’s Degree in entomology HIGHLY preferred. Masters will be considered a bonus. Passion towards improving the lives of small farmers. Salary Negotiable. Depending on relevance of experience, Cost to the company (CTC) ranges from INR 80,000 to INR 120,000 per month.